Record your own pop song! Your Song, Your friends, Your party! At FloodPlain Studios, Clontarf, they supply the backing track to your chosen song and you & your friends provide the vocals, to create a fun CD on your birthday to share with family & friends. Jump Zone is Ireland’s First and Europe’s Largest Indoor Trampoline Park. 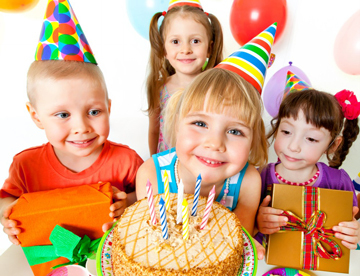 Leisureplex offers an extensive range of birthday party packages to suit all ages. Choose from a range of activities including Bowling, Quasar, or Zoo Adventureland.Whether you want to bowl or play Leisureplex has what it takes to make your party the best ever. Don’t forget you can create your very own birthday package by “Doubling Up” and selecting any two activities you want. All parties include: party host, free invitations, food, drink, and a present for the birthday child. If your child loves sport and activities then they’ll love an Astropark Birthday Party. We have 4 exciting options: Bubble Football, Nerf Wars, Soccer or AstroBounce (inflatable obstacle course). All parties last 2 hours with 1-hour supervised activity, followed by hot food (sausage/nuggets with chips & cordial drink) in one of our party rooms, and an extra 30 minutes football after the food. Invitations can also be provided as well as a medal for the birthday boy/girl. Call Coolock on 018060088 or Tallaght on 014599822 for more information. 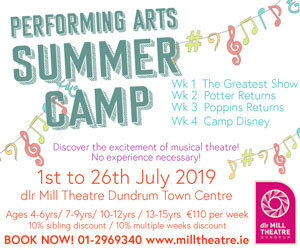 Visit www.gokidsgo.ie or phone 01 6405500 to book. Pembroke Fencing Club offers a unique party experience for your child’s birthday. Let their imagination run wild to create a great adventure through this Olympic sport. With team games and fun props, your child’s party is sure to be one to remember. Junior Einsteins Science Club incorporates the basics of science into a fun session of activities and practical experiments. There are hovercrafts, dinosaur digs, bug hunts & Gooey Slime (to take home!) along with Magic Tricks, Giant Bubbles & Fizzing Potions to ensure your little one’s big day is a roaring success! 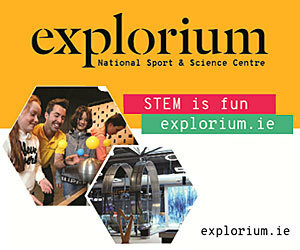 Exciting, Interactive, Hands-on & even Educational! Mess, Stress & Hassles Free! Unforgettable Party for Children Ages 5-12! A Baking Party is a fun and creative way to celebrate your child’s birthday in your own home. At a Pizza & Cupcake Party or a Pizza & Cookie Party guests prepare and make their own pizza from scratch, then make and decorate either cupcakes or cookies. The party includes all necessary ingredients and utensils and aprons for party guests to wear. Baking certificates and cake boxes in which guests carry home their delicious creations are also included. 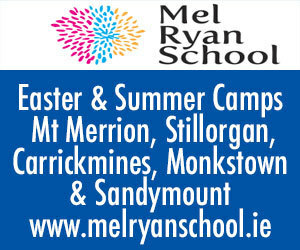 This party takes approximately 2 1/2 hours at a cost of €230 for up to 15 children, plus €15 per child for each additional child. A Cupcake Party or a Cookie Party takes approximately 2 hours and costs €180 for up to 15 children, plus €10 for each additional child. Pizza Parties and Pizza, Cookie & Cupcake Parties are also available.